Encompass Health has a demonstrated ability to adapt across economic cycles and in the face of numerous and significant regulatory and legislative changes. We have a proven track record of consistently growing our company during periods of regulatory changes, whether those changes were actual or speculative. 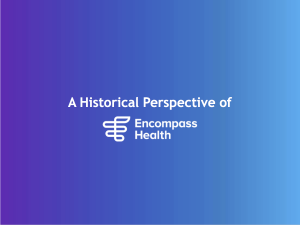 Download a historical perspective of Encompass Health as PDF.